I’ve finally married my two loves; woodturning and drumming. 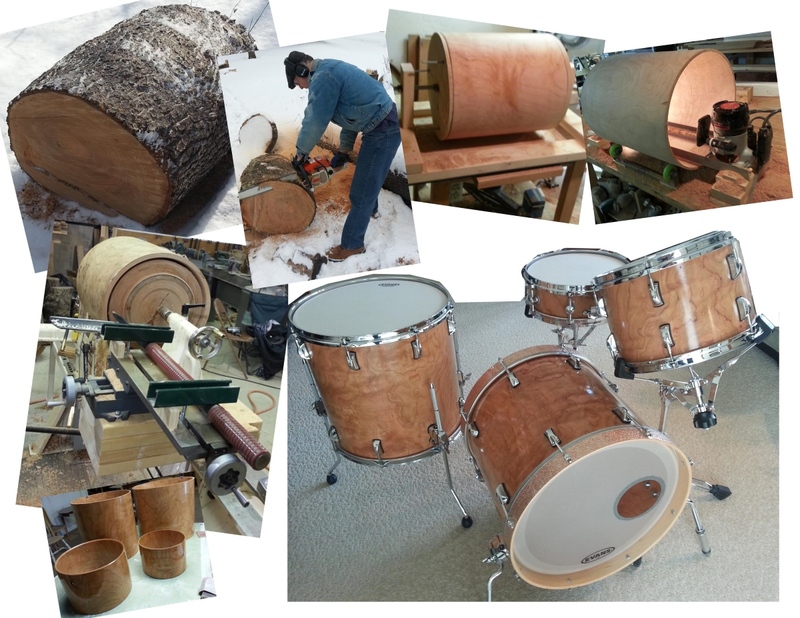 For years people asked “why don’t you make your own drumset?” well… the stars aligned and here it is! The drum shells were made by slicing cylinders out of a solid cheery log. Sizes (height x diameter): 18”x18” kick, 9”x13” tom (8”x10” & 8”x12” toms not shown) 16”x16” floor tom, 4”x13” snare. I had lots of help with this project over the last two years, specifically Bert Olton for the wood and Russ Clinard for the big lathe.